Democratic gun-control activist Lucy McBath has defeated Republican Rep. Karen Handel of Georgia in a suburban congressional district long considered safe for the GOP. Handel had to seek re-election after winning her seat last year in a close special election race against Democrat Jon Ossoff. ATLANTA (AP) — Two Republican members of Congress faced a risk of losing their seats Wednesday as election returns showed them in perilously tight races with Democratic challengers in a pair of suburban Atlanta districts long considered safe for the GOP. The races of GOP Reps. Karen Handel and Rob Woodall remained too close to declare a winner the day after polls closed, and campaigns said absentee ballots were still being counted Wednesday morning. ATLANTA (AP) — Former president Barack Obama has endorsed the Democrats trying to knock off Republican incumbents in two of Georgia's most competitive congressional races. Obama on Monday released a second wave of nationwide endorsements for the upcoming midterm elections in November. The endorsements include Lucy McBath, running against Rep. Karen Handel in Georgia's 6th District, and Carolyn Bourdeaux, taking on Rep. Rob Woodall in Georgia's 7th District. Democratic House candidate Lucy McBath of Georgia is calling for a full investigation into the sexual misconduct allegations against Supreme Court nominee Brett Kavanaugh and slamming her opponent, Republican Rep. Karen Handel, who initially praised him. The race is among the more closely watched ahead of the November midterms. ATLANTA (AP) — A Democratic gun control activist whose son was shot to death is trying to unseat a Georgia Republican congresswoman backed by the National Rifle Association. Lucy McBath will challenge Rep. Karen Handel this fall after winning a runoff election in the 6th District of metro Atlanta. McBath defeated fellow Democrat Kevin Abel on Tuesday. While McBath supports gun control, the NRA has supported Handel, citing her pro-Second Amendment stance. ATLANTA (AP) — Some of the top Republican primary contests in Georgia - including one deciding who will face a Democrat vying to become the first black female governor in the U.S. - are still undecided after Tuesday's primaries and will go to a July 24 runoff. No GOP candidate for governor, lieutenant governor or secretary of state was able to secure more than 50 percent of the vote, triggering runoffs between the top two in each race. 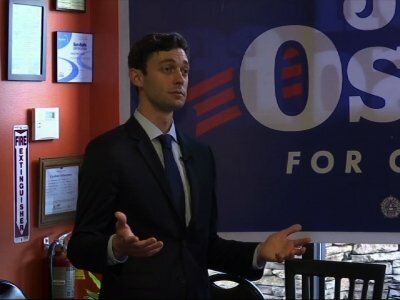 ATLANTA (AP) — Georgia Democrat Jon Ossoff is not seeking a rematch against Republican U.S. Rep. Karen Handel, who defeated him last year in the most expensive House election in U.S. history. ATLANTA (AP) — Seven Georgia members of Congress were on board a train that crashed on its way to a GOP retreat in West Virginia, but none of the state's politicians suffered any serious injuries during the fatal wreck. ATLANTA (AP) — An Atlanta TV news anchor quit his job to run for Congress next year in hopes of ousting Republican Rep. Karen Handel, who just got there after winning the most expensive House election in U.S. history. Bobby Kaple told The Associated Press in an interview Wednesday that he can succeed where fellow Democrat Jon Ossoff fell short in the June special election, which was widely regarded as a referendum on President Donald Trump. ATLANTA (AP) — An Atlanta TV news anchor says he's quit his job at the CBS News affiliate to run for Congress against Republican Rep. Karen Handel, whose election this summer capped the most expensive U.S. House race in history. Should conservatives shut up about Nancy Pelosi or keep her in their public spotlight? The Georgia 6th Congressional District race became all about Pelosi. Democrats and liberal allies poured over $24 million into Jon Ossoff’s campaign to prove no one supports Trump any longer. Karen Handel, the Republican, spent just $4.5 millions. PACs spent quite a bit, too. Ossoff got about $8 million in PAC spending while Republican allies dumped about $18 million into ads and marketing to help Handel. ATLANTA (AP) — Georgia's electronic touchscreen voting system is so riddled with problems that the results of the most expensive House race in U.S. history should be tossed out and a new election held, according to a lawsuit filed by a government watchdog group and six Georgia voters. WASHINGTON (AP) — The Republican winner of the most expensive House race ever took her seat representing Atlanta's outskirts Monday evening, along with a South Carolina Republican who claimed a narrower-than-expected victory to retain a strongly Republican seat. The dual swearing-in ceremony returned Republicans to full strength in the chamber at 241 seats after the party won four special elections to replace GOP lawmakers who left the House to join President Donald Trump's Cabinet. The winner of the most expensive House race ever as well as a South Carolina Republican who claimed a narrower-than-expected victory are now members of Congress. Monday evening's swearing-in ceremony for Georgia Republican Karen Handel and Ralph Norman of South Carolina returns the House GOP majority to 241 seats after a string of special elections to replace lawmakers who joined President Donald Trump's Cabinet. ATLANTA (AP) — Karen Handel is set to be sworn in after her victory in Georgia's 6th Congressional District. Handel's swearing-in ceremony is planned for Monday evening at the U.S. Capitol. 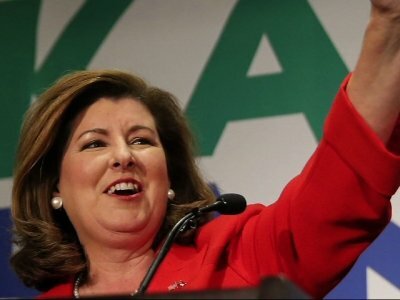 Handel is the first female Republican to be elected to a congressional seat in Georgia. Despite spending a record amount of money, Democrats loss a Georgia special House race that some hoped would be a referendum on President Donald Trump and bolster opposition against Republican efforts to dismantle the Affordable Care Act. Instead of winning or losing by what many believed would be a razor-thin margin, Republican Karen Handel beat Democrat Jon Ossoff by a relativity comfortable 4 percentage points. RALEIGH, N.C. (AP) — A North Carolina state senator has referred to several news outlets on Twitter as "jihad media" for their reporting on state and national stories. CEDAR RAPIDS, Iowa (AP) — He railed against the "fake news" media. He urged the Senate to put more "heart" into its health care bill. And he mused about putting solar panels on a Mexican border well. A North Carolina state senator posted a series of tweets Wednesday referring to various news outlets as "jihad media" in response to stories with which he disagrees. House Democratic leader Nancy Pelosi says she's confident she has the support in her caucus despite finger-pointing and frustration after Democrats lost a Georgia special election. CEDAR RAPIDS, Iowa (AP) — Struggling to advance his agenda in Washington, President Donald Trump traveled to the Midwest on Wednesday for a raucous rally with his loyal supporters — the kind of event he relished before winning the White House. Trump touched down Wednesday evening in rainy Cedar Rapids, Iowa, and headed to a local community college, where he got a look at agriculture technology innovations before leading a campaign rally. The White House is suggesting that a Republican win in Georgia's special House election on Tuesday was a personal victory for President Donald Trump. White House spokeswoman Lindsay Walters told reporters aboard Air Force One that Karen Handel's win serves as proof that "the American people are resonating with the president's agenda" and want to see his agenda enacted. DUNWOODY, Ga. (AP) — Republicans say Karen Handel's victory in Georgia's 6th Congressional District proves the GOP is still the dominant party in Georgia. Georgia Republican Party Chairman John Watson credited Handel for "crushing liberal dreams." Democrats say Jon Ossoff's 48 percent showing in a Republican stronghold is proof that they're actually making progress toward making Georgia a genuine battleground. Republicans say Karen Handel's victory in Georgia's 6th Congressional District proves the GOP is still the dominant party in Georgia. Democrats say Jon Ossoff's showing means they're actually making progress toward making Georgia a genuine battleground. WASHINGTON (AP) — Democratic Party divisions were on glaring display Wednesday as a special election loss in a wildly expensive Georgia House race left bitter lawmakers turning their anger on their own leaders. "We as Democrats have to come to terms with the fact that we lost again," said Rep. Seth Moulton, D-Mass. "Personally I think it's time for a new generation of leadership in the party." TRENTON, N.J. (AP) — A Democratic strategist criticized for tweeting "#HuntRepublicans" after a shooting that seriously wounded a top GOP leader is defending his bellicose language and doubling down on his support for "hunting." 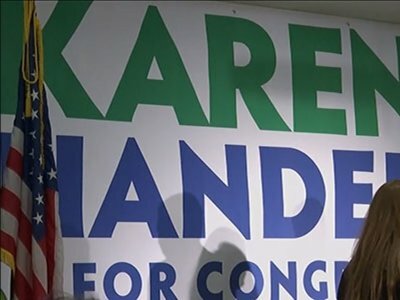 New Jersey political operative James Devine tweeted Wednesday that Republican Karen Handel's victory over Democrat Jon Ossoff in Georgia's special congressional election is evidence that Democrats should adopt more aggressive tactics. He tweeted: "it is time for hunting." WASHINGTON (AP) — Republicans just got a big argument for sticking with President Donald Trump and pushing forward with dismantling former President Barack Obama's health law. And Democrats are struggling to translate the energy of their core supporters into actual election victories. Karen Handel's victory over Democrat Jon Ossoff in Georgia's 6th Congressional District means Republicans held all four of their seats that were up for grabs in special elections this year. 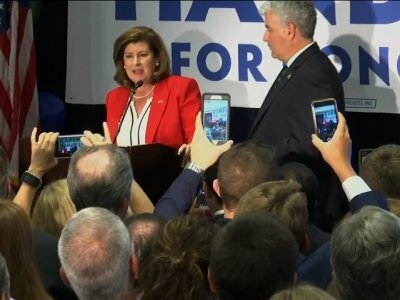 DUNWOODY, Ga. (AP) — Republican Karen Handel won a nationally watched congressional election Tuesday in Georgia, and she thanked President Donald Trump after she avoided an upset that would have rocked Washington ahead of the 2018 midterm elections. Returns showed Handel, a former Georgia secretary of state, winning about 52 percent of the vote over Democrat Jon Ossoff, who won nearly 48 percent in Georgia's 6th Congressional District. Election returns show that Republican Karen Handel won just over 52 percent of the vote to secure a House seat in Georgia. 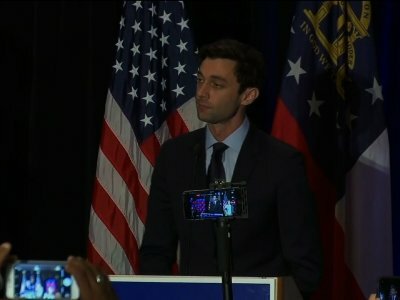 Handel defeated Democrat Jon Ossoff on Tuesday in Georgia's hotly contested House race in the Atlanta suburbs. Ossoff won nearly 48 percent of the vote. Her victory comes after Republican special congressional election wins in Montana, Kansas and South Carolina. Republican Karen Handel captures a nationally watched congressional election in the Atlanta suburbs, avoiding an upset that would have rocked Washington ahead of the 2018 midterm elections. COBB COUNTY, Ga. — Republican Karen Handel and Democrat Jon Ossoff were out campaigning the day before the 6th Congressional District runoff race. Both campaigns continue to work tirelessly to win over votes. Steve Light walks to Cafe Au Lait in Roswell every morning. It’s an escape from the crazy world of politics outside. 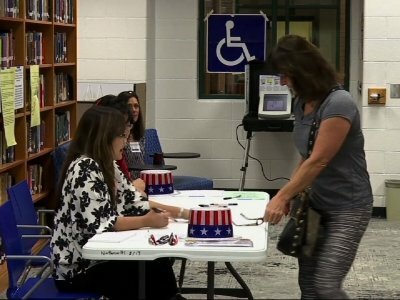 ROSWELL, Ga. (AP) — Republican Karen Handel and Democrat Jon Ossoff are making their final arguments in the Georgia 6th Congressional District race that offers a potential preview of the 2018 midterm elections. Handel used an election-eve rally to urge suburban Atlanta Republicans not to be wowed by the attention — and millions of dollars — showered on this House special election. Republican Karen Handel and Democrat Jon Ossoff are making their closing arguments in Georgia's nationally watched 6th Congressional District race. ATLANTA (AP) — A Tuesday special election in the northern suburbs of Atlanta will settle just one of 435 U.S. House seats, but it has become a national story in the early months of Donald Trump's presidency. — Democrat Jon Ossoff, 30, is a former congressional staffer-turned documentary filmmaker; now he's a symbol of the Trump opposition movement, though he rarely mentions the president. WASHINGTON (AP) — President Donald Trump is attacking Democrats and promoting the Republican running in this week's House runoff election in Georgia. In a tweet Monday, Trump said that Democrats "want to stop tax cuts, good healthcare and Border Security." He also said "their ObamaCare is dead."